Who doesn't love a good macaroon? Passover starts tonight at sundown. If you're unfamiliar with this particular Jewish holiday it's a super fun event that involves staying seated around a table for several hours and reading a lot of Hebrew text about plagues and slaughter and escaping across the desert carrying bread. Obviously a totally appropriate event for young children who are scared easily and can't sit still. The good news is that there is wine, lots and lots of wine. The bad news is that most of the traditional Passover food stuffs are things that my children do not eat. Then again, the only foods my children currently like to eat are cheese and plain pasta, so it's not as though they are particularly discriminatory against Pesach. Dessert, of course, is another matter entirely. I'm constantly amazed at how my children are repulsed by vegetables and proteins, but hand them an artificially colored, disgustingly sweet cookie with a weird flavor and they think it's the best thing in the world. Which just goes to show that children are as crazy as I've been saying. 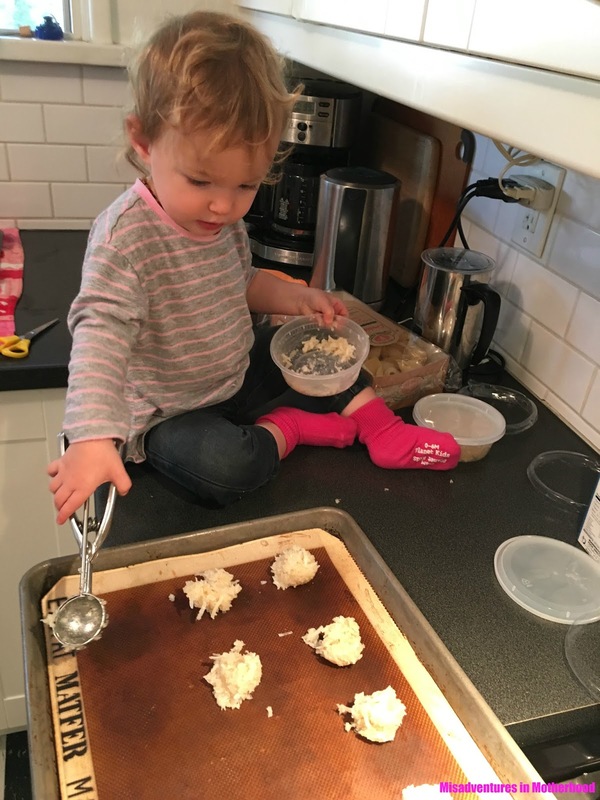 Since I know that my kids' dinner tonight will most likely consist of what the rest of us refer to as the "dessert course", I figured it was time to find a healthier version of a traditional Passover cookie. Usually I prefer to "make" my holiday cookies by calling in an order at my favorite kosher bakery, but this year I was inspired by my friend, Elizabeth, of Vegan.Mama. We have four kids between us, and could only get one to sit with us. 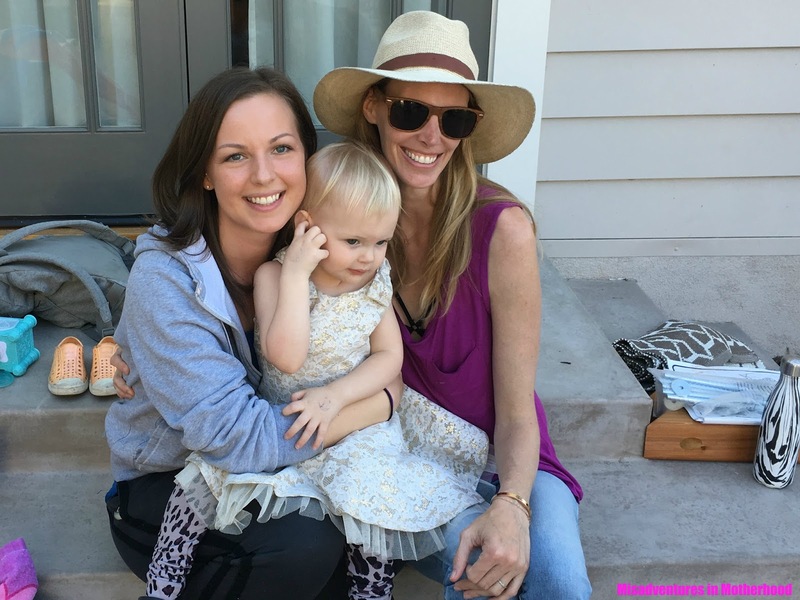 Elizabeth creates amazing vegan goodies while also being a full time Mom to two little girls. Oh, and just in case you had the mistaken idea that Elizabeth has someone else watch her kids while she whips up spectacular vegan baked goods, let me tell you that she actually has her daughters help her in the kitchen. The fact that she has remained sane is basically a Passover miracle. These vegan macaroons are seriously delicious and healthy-ish. Unlike traditional macaroons that contain eggs and white sugar or condensed milk, this version is vegan and sweetened with organic maple syrup. Blend coconut in a food processor until creamy. It should almost be coconut butter, but not quite. Add maple syrup and vanilla and blend until just incorporated. Scoop mixture with a cookie scoop, making sure to pack the dough firmly. Place on baking sheet. You should end up with about 15 cookies. Brush the tops with melted coconut oil, and bake for 8-10 minutes or until the bottoms of the cookies are golden brown. 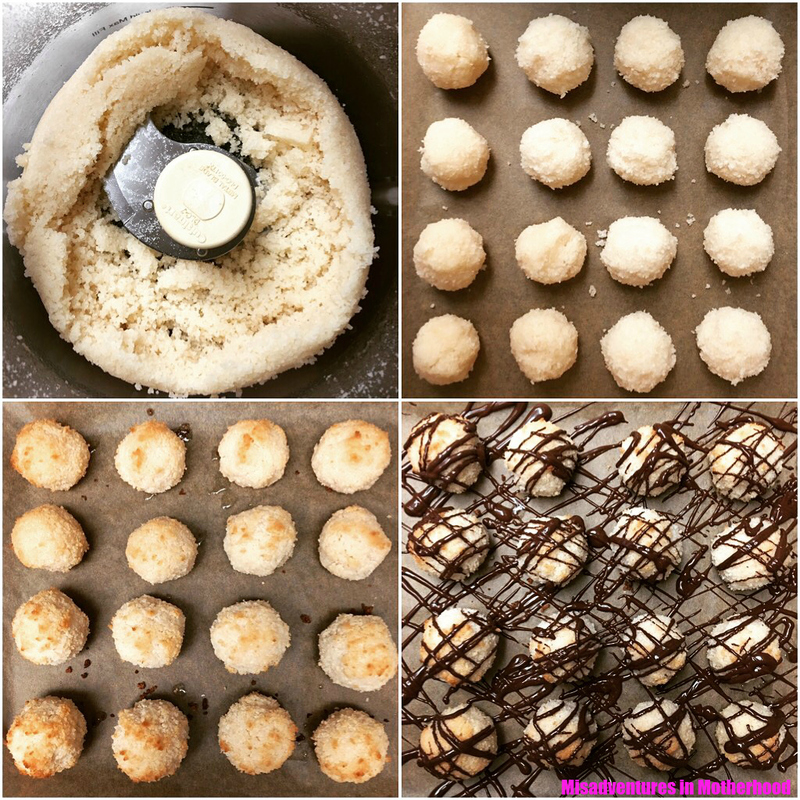 Optional step: if you want to be all fancy like my friend Elizabeth, drizzle your cooled macaroons with some melted chocolate (Enjoy Life is a great vegan brand). I'm sure my cookies won't turn out even half as beautifully as Elizabeth's (especially with all the "help" I had making them) but at least I know my kids won't be eating macaroons full of junk. And coconut is totally a superfood... right? Happy Passover to all those celebrating! May your seder be short, your children well behaved, and the kosher wine delicious.